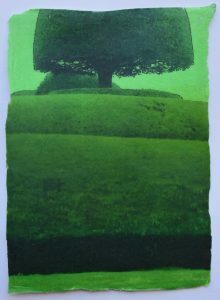 Really pleased to have had ‘Packwood Fragment 21’ selected for this biennial exhibition open to professional artists based in the West Midlands- its always good for a printmaker to be with those painters and sculptors!Royal Leamington Spa Art Gallery & Museum, Royal Pump Rooms, The parade CV32 4AA. 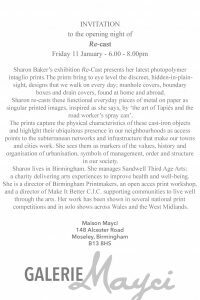 Plus you can still see my solo show ‘Re-Cast’ at Maison Mayci in Moseley. This exhibition has been extended until 20th April. 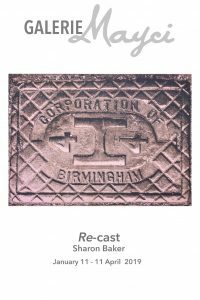 I’m delighted to announce my new solo show featuring my prints of manhole covers, boundary boxes and drain covers at Galerie Mayci in Moseley, Birmingham from 11th January to 11th April 2019. The show is curated by Peter Grego, past director of the International Project Space, Birmingham. The opening Preview is on the evening of Friday 11th January 6-8pm. Galerie Mayci 148 Alcester Road, Birmingham B13 8HS. I’m pleased to have two new mixed media pieces selected for this crazily eclectic exhibition at the Royal West of England Academy in Bristol. I am exhibiting a print in my home city of Birmingham this summer! My print ‘Robot Monolith I’ is selected for RBSA print prize 2018. 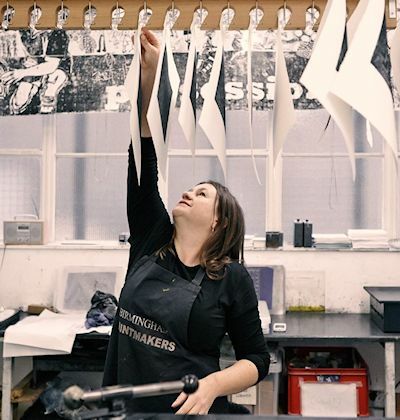 The Print Prize exhibition aims to champion and celebrate the exciting range of contemporary printmakers producing original printed artworks within the UK and beyond. I’ve been selected to show my manhole cover prints as part of the Saltaire Arts Trail May Bank Holiday weekend. I will be exhibiting at 61 George Street ( number 11 on the Open Houses arts trail). 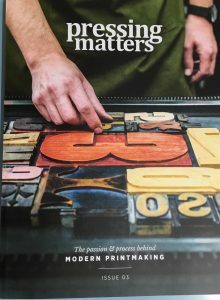 I’m thrilled to be included in this fabulous magazine all about modern printmaking. 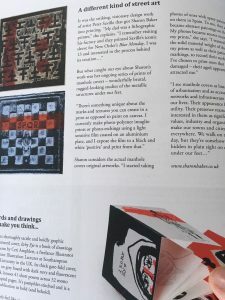 An article about my manhole cover prints is on page 6. I’m really excited to be included with my peer group alongside great printmakers from around the world.